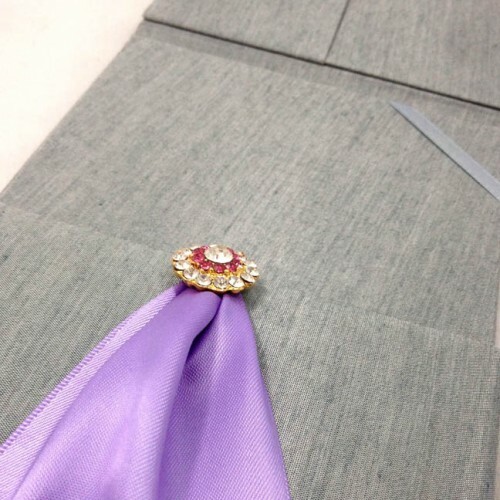 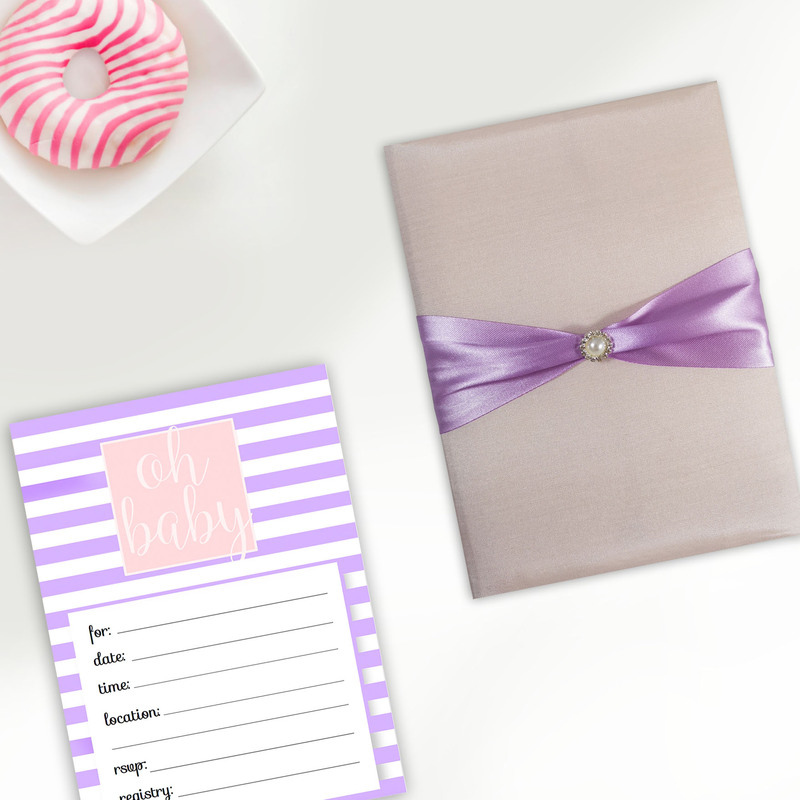 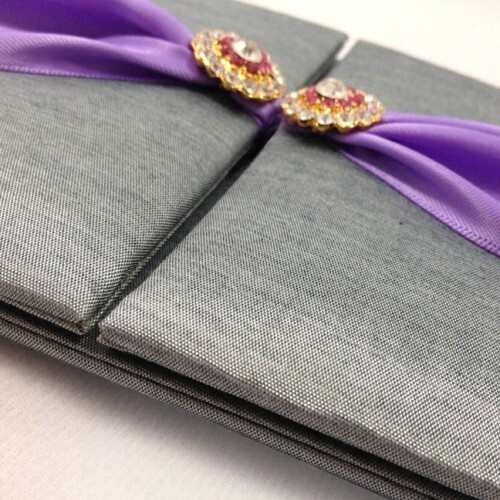 Two door invitation folder featuring silver silk, lavender ribbon, 2.5″ wide, 2 cm diameter rhinestone brooches in gold with pink and clear stones. 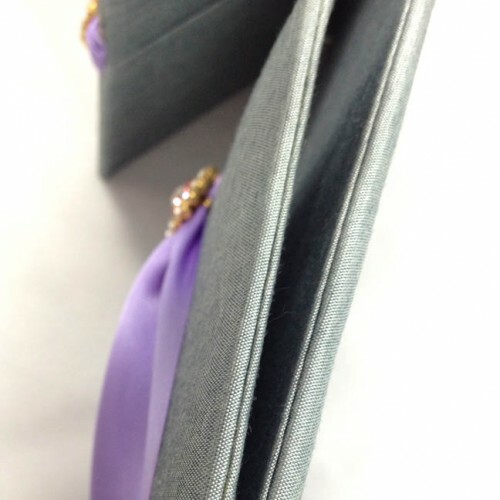 Pocket holder on the enterior + ribbon holder across corners. 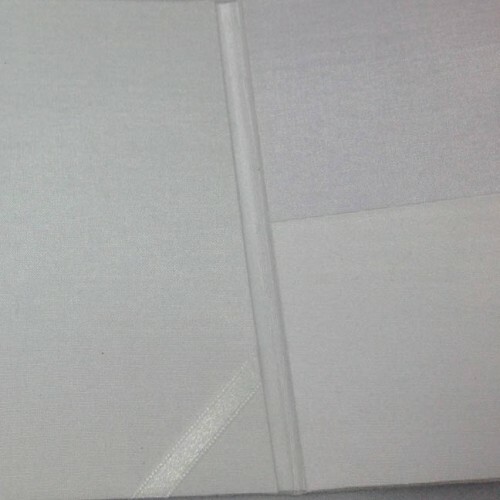 Padded exterior. 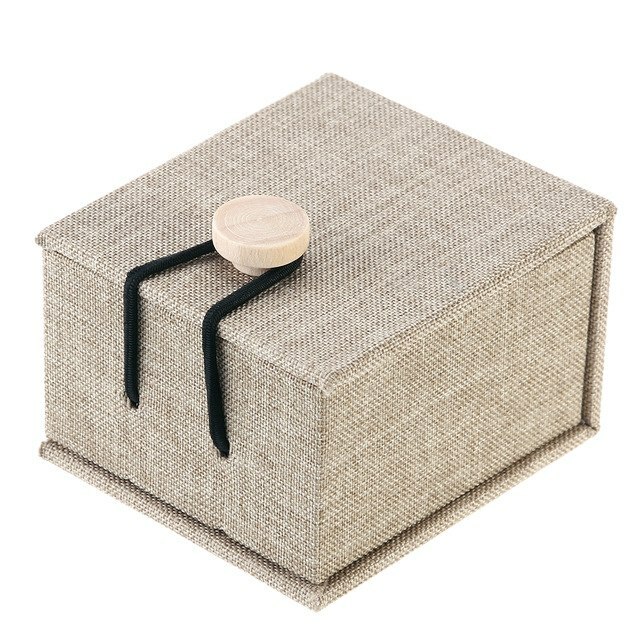 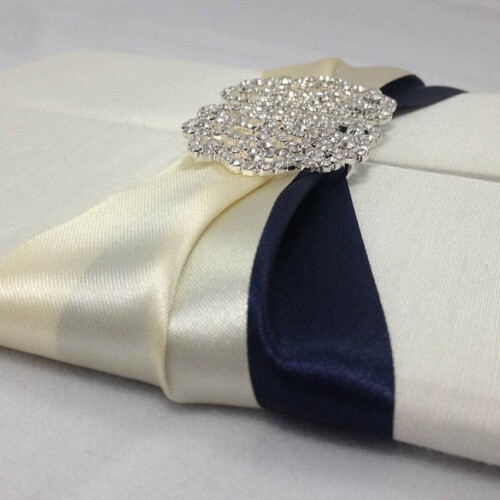 Fully handmade high quality silk inviattion design by Dennis Wisser. 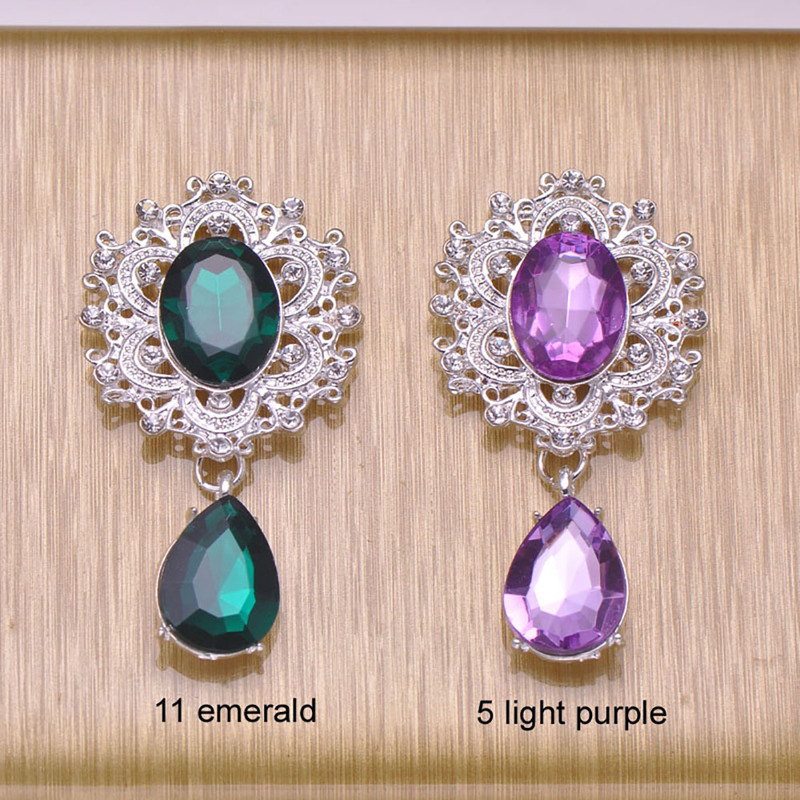 Can be designed in all imaginable colors and sizes to suit your individual wedding or event theme, corporate id colors etc. 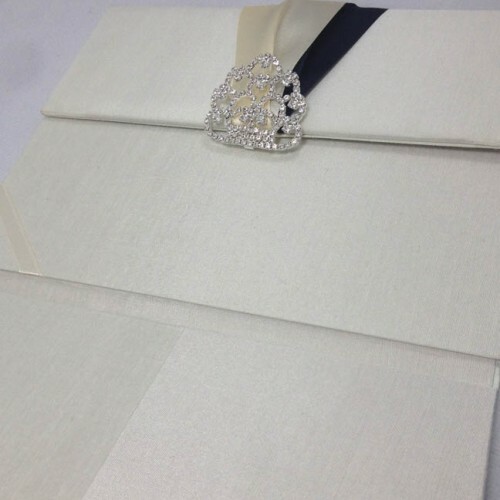 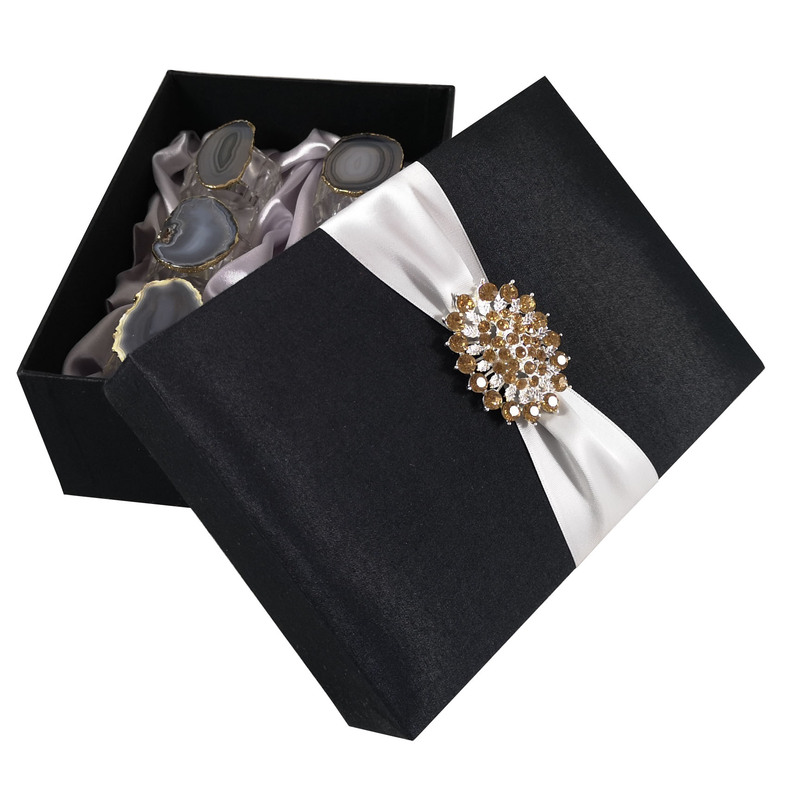 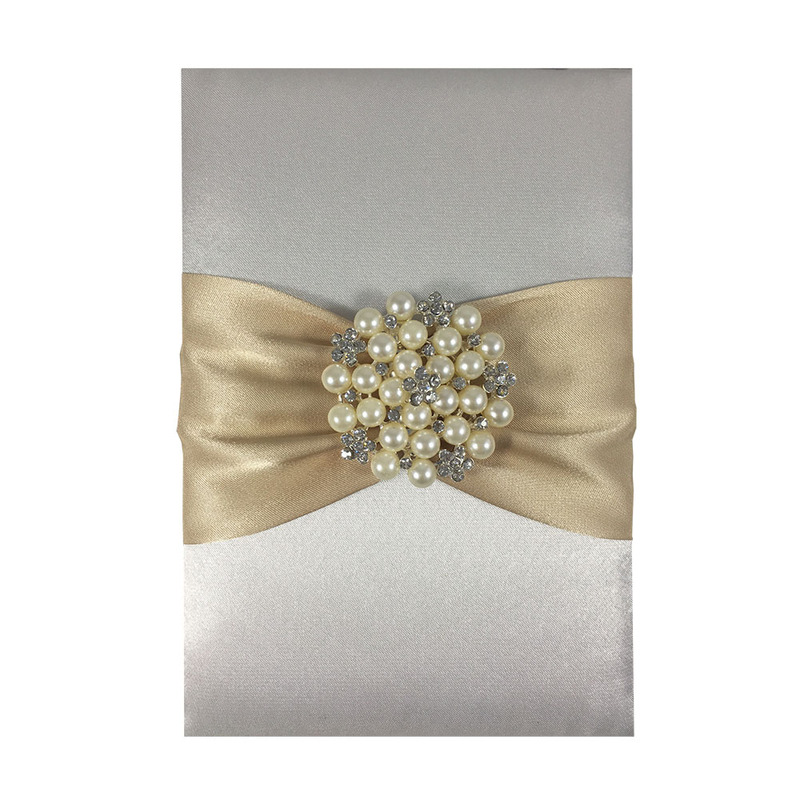 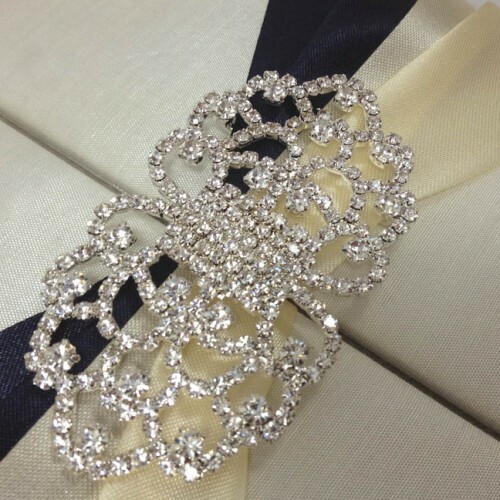 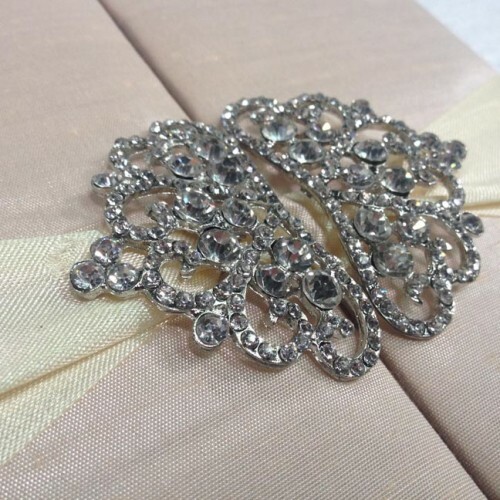 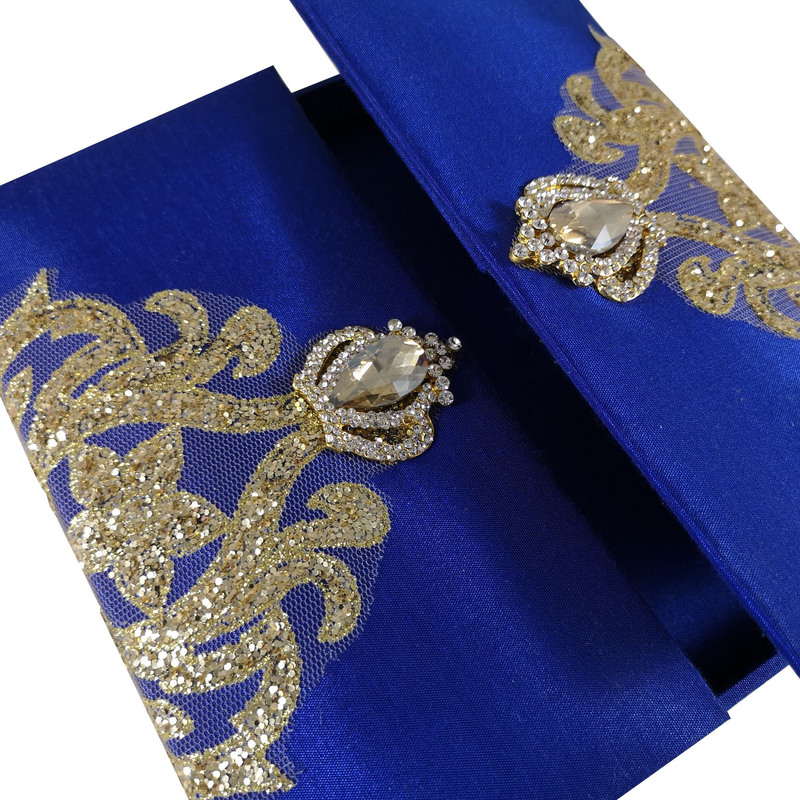 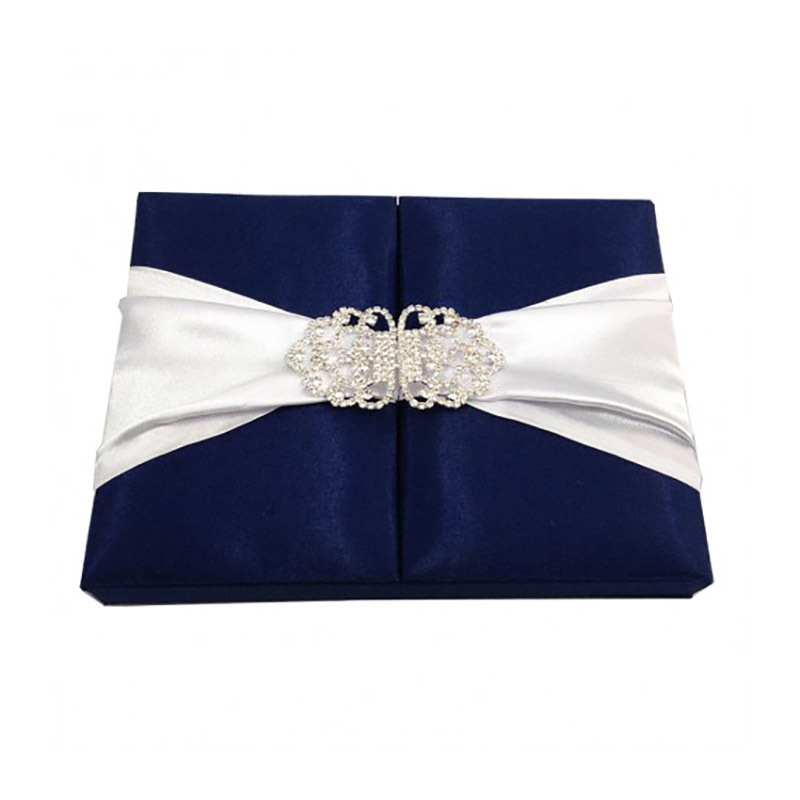 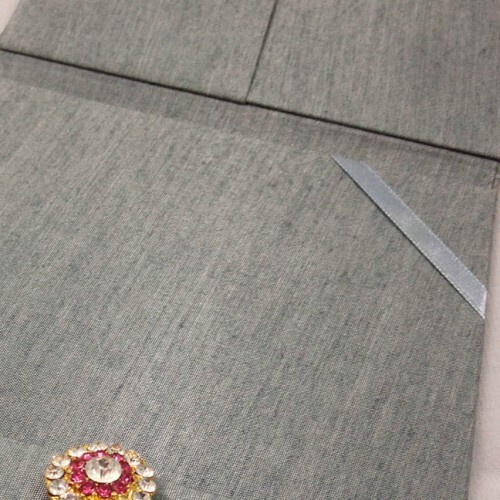 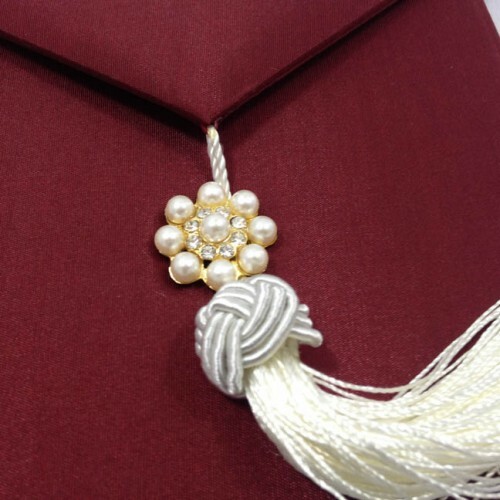 Luxury invitation design is padded on the outside, embellished with real rhinestone crystal crown brooches. 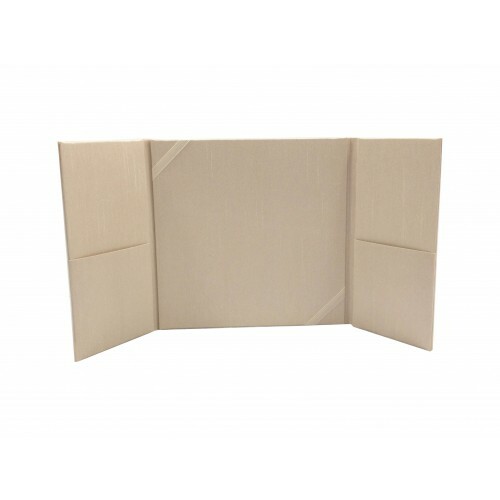 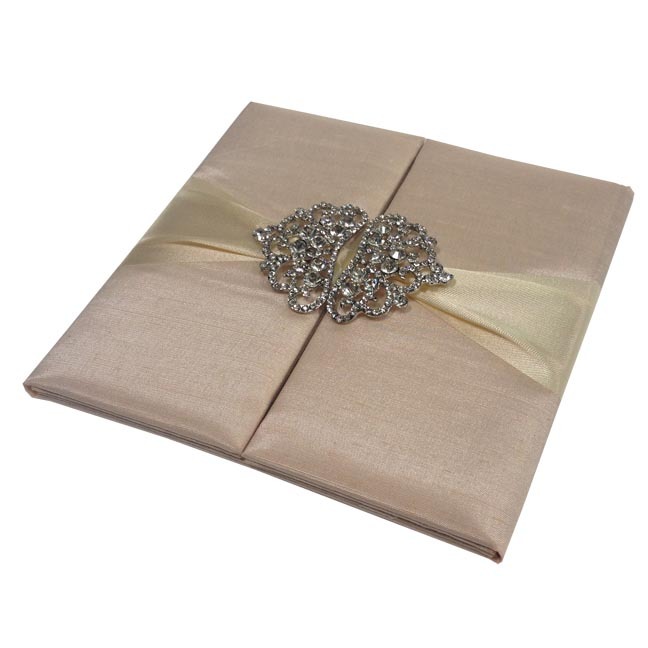 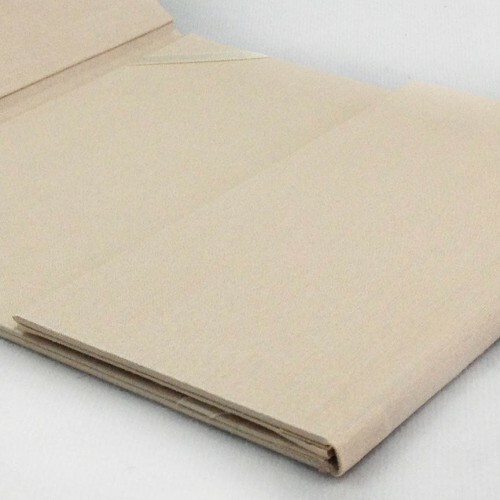 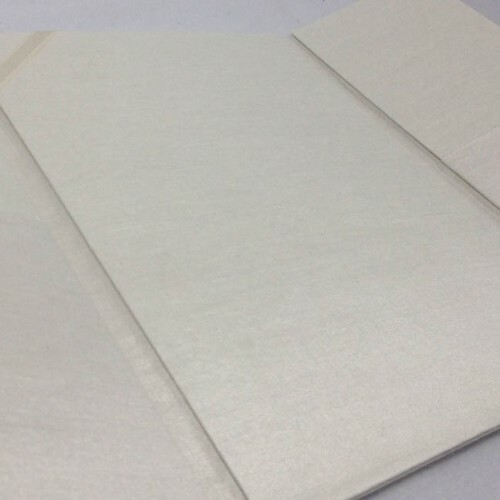 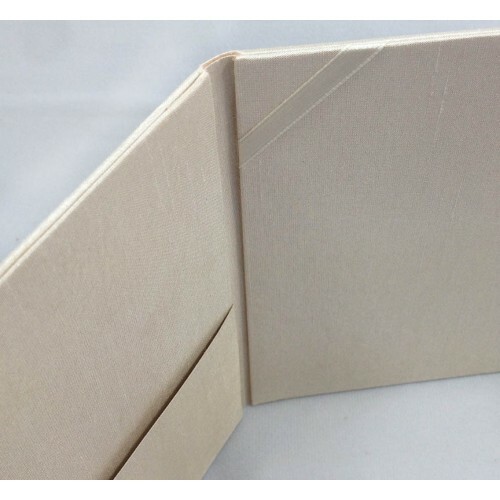 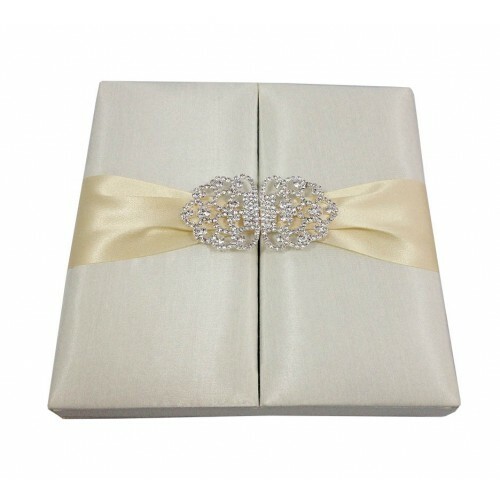 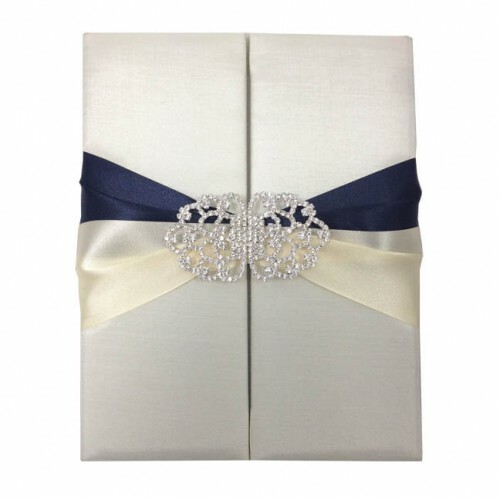 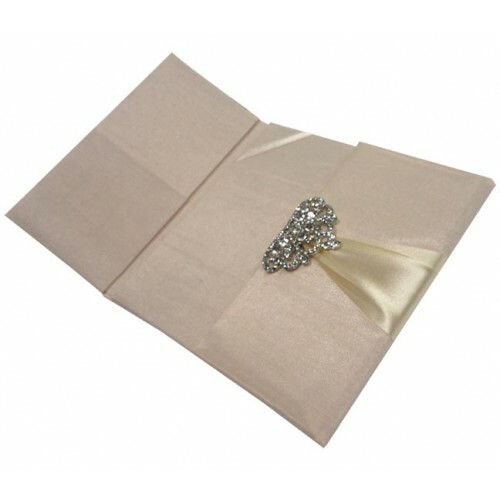 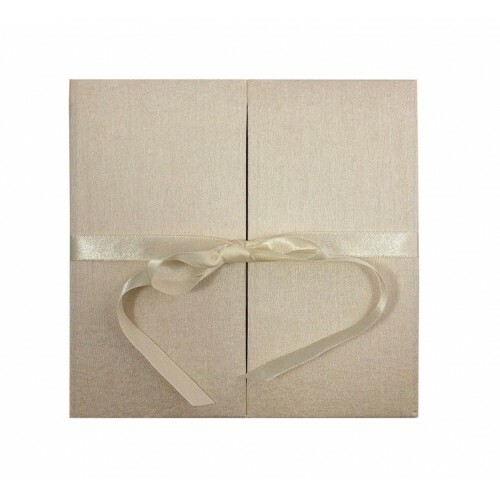 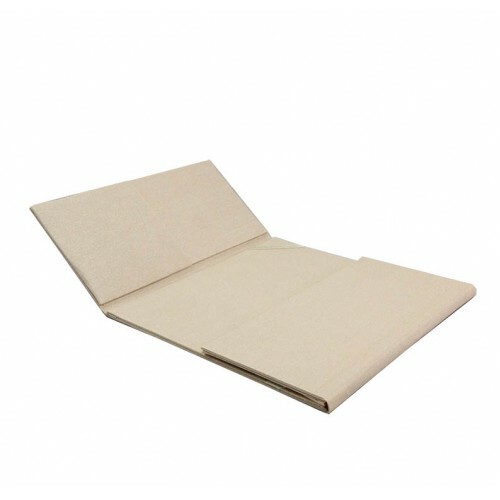 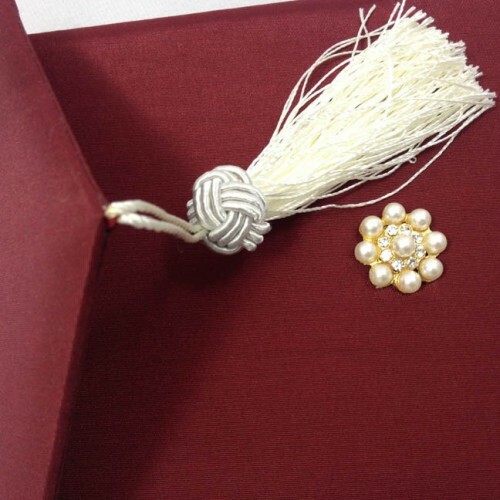 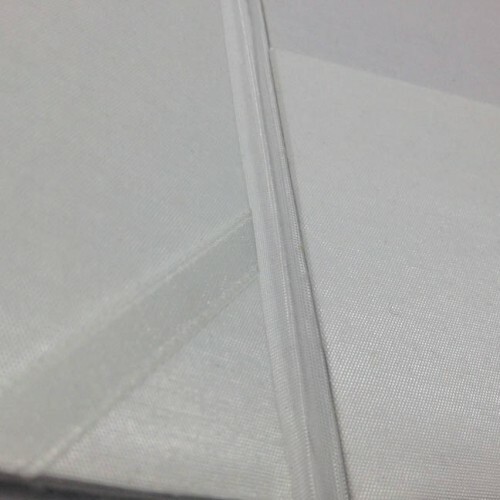 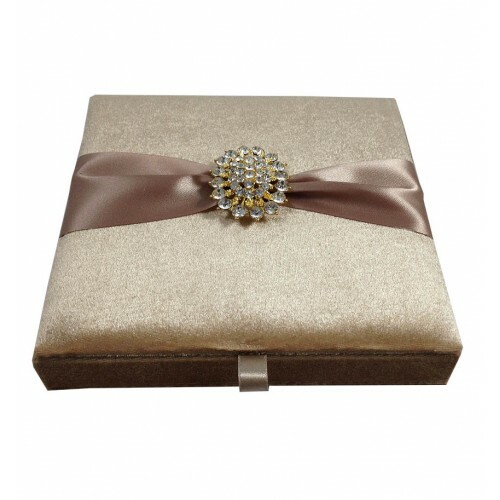 100% dupioni silk covered folio invitation folio in cream color. 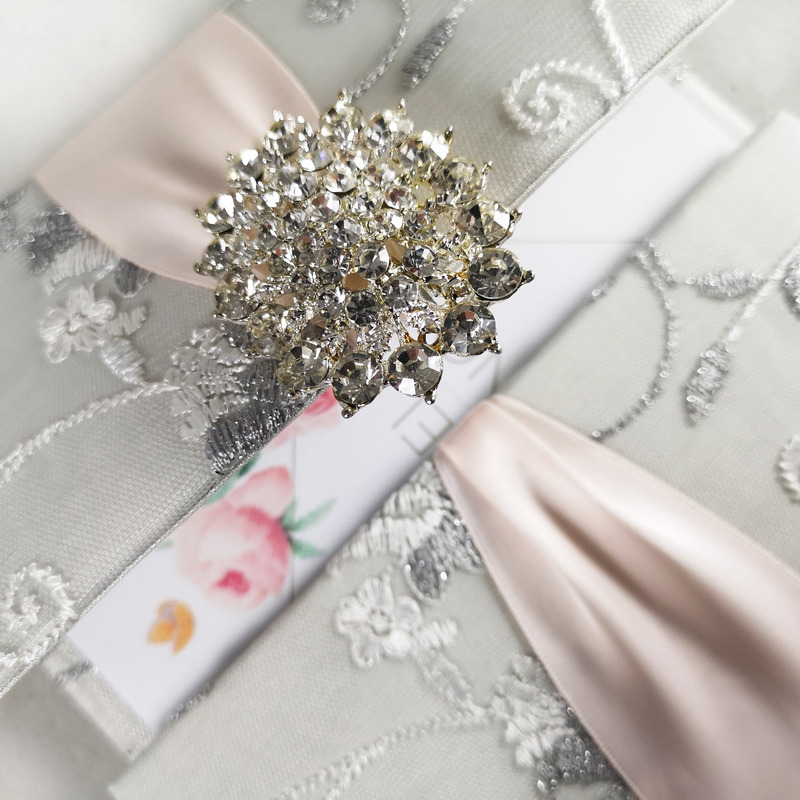 Impressive high-end creation from talented designer of Chiang Mai, Thailand. 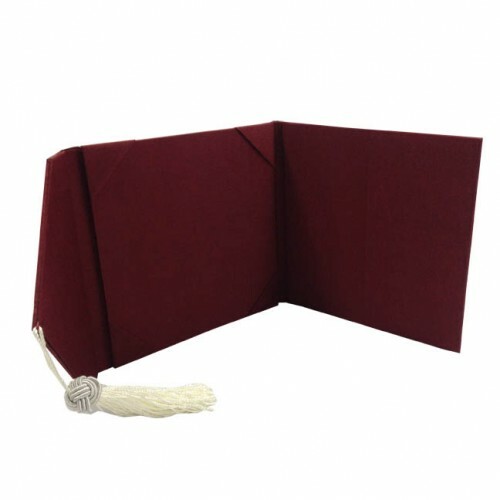 Burgundy themed silk envelope for wedding and event invitations. 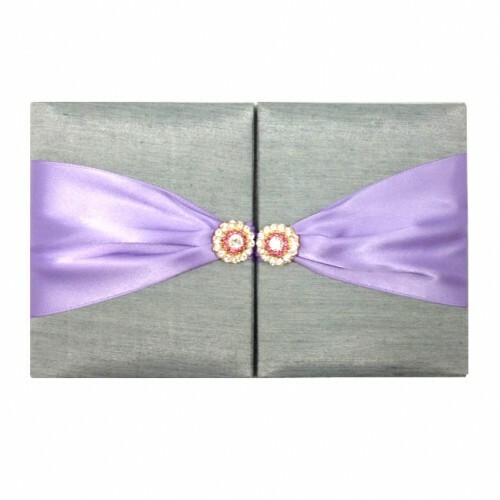 Unique design by Dennis Wisser from Chiang Mai, Thailand will impress your guest.